Shankar Mahadevan is an award-winning musical composer, playback singer and part of the Shankar–Ehsaan–Loy composing trio team. He is also the founder of the Shankar Mahadevan Academy, which teaches Indian Music online to students worldwide. He can speak fluently in Marathi, Malayalam, Tamil, Urdu, Hindi and English. Some of his popular songs include Urvashi Take It Easy from Humse Hai Muqabla (1995), I Love You from Auzaar (1997) and Kay Sera Sera from Pukar (2000). Born to a Tamil Iyer family from Pallakad Kerala, Shankar was brought up in Chembur, Mumbai. He started learning Carnatic music from childhood and could play the veena by the age of five. His first music teacher was the Marathi composer Srinivas Khale. In his formative years, he attended Our Lady of Perpetual Succour High School (OLPS) in Chembur before moving on to completing his HSC SIES Sion and then graduating with Computer Science and Engineering from Ramarao Adik Institute of Technology in 1988. He then worked as a software engineer for Oracle. Shankar rose to fame with the release of the musical album entitled Breathless in 1998. The title track Breathless, minus any verse, stanza or break that lasts for almost three minutes, was engineered to appear as if he sung it in a single breath. The lyricist for the album was the renowned Javed Akhtar and the model appearing in the album was Renu Desai. He then ventured into music direction and became a member of the Shankar- Ehsaan- Loy trio, which provides music for Bollywood films. Shankar got his first National Film Award in playback singing for his song Kandukondain Kandukondain in the year 2000 and went on to become an accomplished musician in Tamil Cinema. Since then, he has collaborated with leading composers like AR Rahman, Ilaiyaraaja, Deva, Yuvan Shankar Raja, Harris Jayaraj, Vidyasagar, Mani Sharma, Devi Sri Prasad, G. V. Prakash Kumar, Vijay Antony, D. Imman, and S. Thaman among others. Besides Hindi songs with Shankar- Ehsaan- Loy he has also sung Telugu, Malayala, Kannada and Marathi songs with composers like Shridhar Phadke and Ajay-Atul. In the year 2000, he made a special appearance in the song Thaniye from the video Rhythm, which he sung himself. He has sung mostly for Tamil cinema heroes from Rajnikanth to Kamal Hasan. One of his hit songs includes Mammatha Rasa from Thiruda Thirudi (2003), which was a chartbuster. His popular Telugu songs have come in movies like Dookudu ( 2011), Gabar Singh (2012) and Attarintiki Daredi (2013). 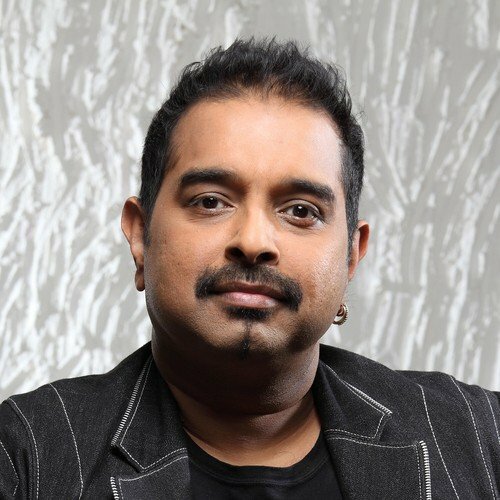 In March 2011, Shankar started the Shankar Mahadevan Academy, to offer tutorials and virtual vocal courses in Carnatic and Hindustani classical music. The Academy was nominated in the Best Activist Anthem Category in the Honesty Oscars 2014. He is part of the jazz fusion band called Silk, which features Louis Banks on the Keyboards, Shivamani on percussion, Sridhar Parthasarathy on Mridangam and Karl Peters on bass. He has sung for Remembering Shakti, with Zakir Hussain, John McLaughlin, Chandan Sharma, U Srinivas and V Selvaganesh. Shankar has performed for a variety of concerts like PULSE, India’s second largest inter-collegiate festival at AIIMS in 2008 and 2010. He has performed at Raagam 09, an Inter-collegiate festival at the National Institute of Technology in Calicut and in February 2010, he performed at Kuruksastra 10 at the Sastra University, Thanjavur, in Tamil Nadu. He also performed for UNESCO’s International Jazz Festival at the UN General Assembly on April 30 2012. In 2013, he along with Ehsaan and Loy performed at a five-hour benefit concert for Lok Biradari Prakalp in Nagpur. They also performed at the day-two Pro Show of Riviera 2013. On 17th March 2013, Shankar performed at Raagam 13. He was the music director for School Chale Hum on Doordarshan and mentor for the musical reality show Sa Re Ga Ma Pa challenge for Zee TV in 2009 and 2012. He was also the captain and judge for Star Plus musical show Music ka Maha Muqqabala. He remained a mentor for his team in the year 2010. In the Star Plus show, his team Shankar’s Rockstars won the contest in 2010.